Recently the Smart Logistics Group was asked to ship 3 truck heads within a flat rack collapsible 40ft container from Portugal to United Arab Emirates. It required a high precision loading due to the size of the shipment, where two of the truck heads were mounted opposite to each other and the third on top of these two. 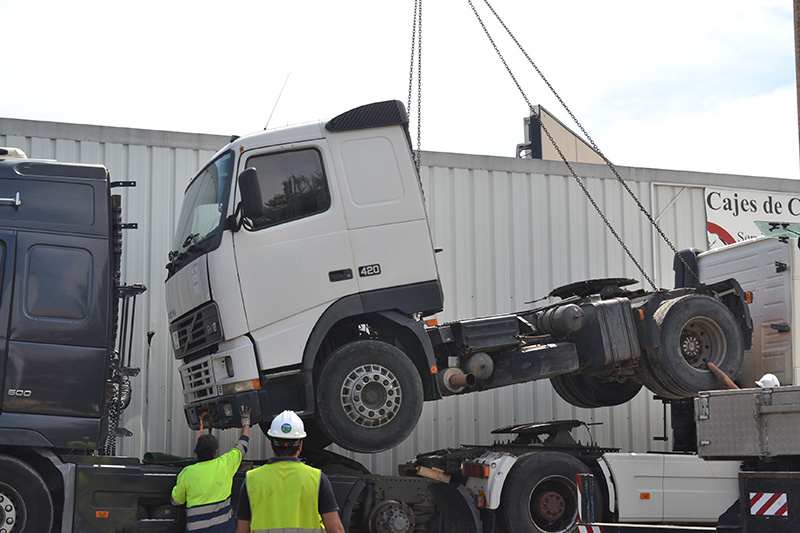 It was necessary to carefully disassemble some parts of these trucks such as the rear wheels to meet the inland haulage and the maritime transport requirements for another successful shipment. As project managers and expert consultants, the Smart Logistics Group team handled logistics planning at all stages of the project cycle, developing route plans, risk contingency plans, cost assessment and survey services, key points to most of this type of projects. Want to know more about this and other logistic solutions?